Amy used to sometimes affectionately call her Gipsy Moth plane ‘Pegasus’. The winged horse that traversed the heavens was born of Medusa’s blood, which fell into the sea. 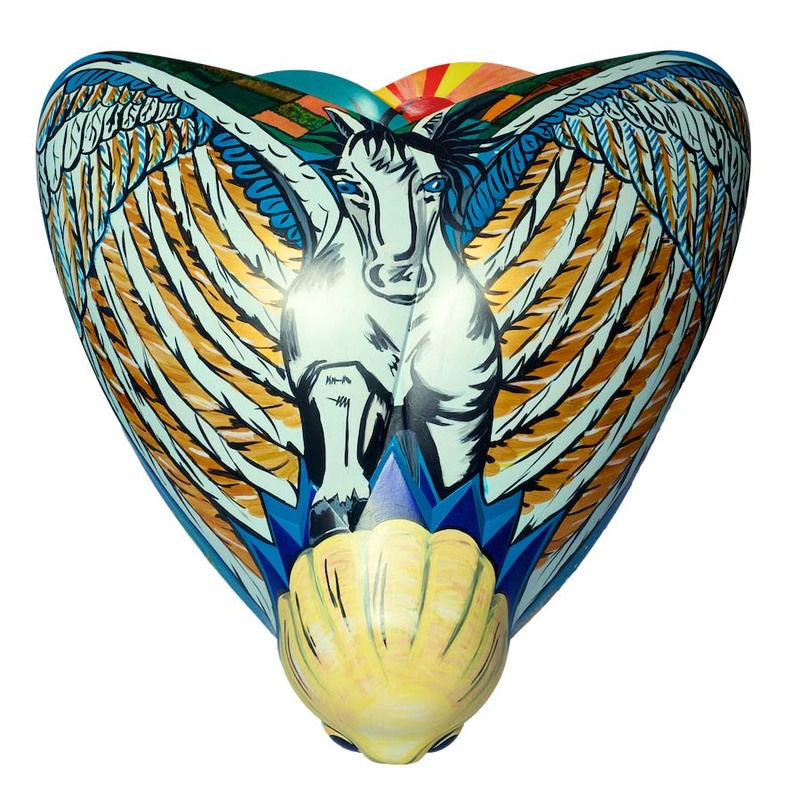 Only tamed by a golden bridle, Pegasus helps to achieve impossible tasks and represents the sky. Horses have played an important role in mythological adventures, from Odin’s eight-legged horse to Epona, the Celtic link to the land of the dead. This moth tells the story of Amy setting out from her homeland, showing the Yorkshire landscape in the background, and fearlessly flying across the sea to accomplish her goal. Saffron Waghorn is a sculptor who predominantly works in stone, but enjoys the versatility of other materials. She has twenty years’ experience in public art, occasionally taking on private commissions and running workshops. Saffron is currently exploring her own creative style and interests, and is looking forward to exhibiting her new art in the near future. She describes the Amy Johnson festival as a fun way to celebrate the life of an iconic woman, showing what can be achieved when given an equal opportunity. 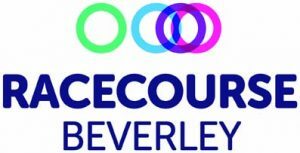 Beverley racecourse has been part of the historic market town for over 300 years. The non-profit organisation ensures the local economy directly benefits from the racecourse’s success, and works to offer a vast range of events each year. The racecourse has undergone renovation work in recent years, making it a prime venue in the region for corporate hire, weddings and celebratory days out.